1. He is among an ultra-elite group of proven sires ranking in the top 1% of the breed for both HerdBuilder and GridMaster Indexes. 2. A unique combination of elite carcass merit, with excellent maternal value. He blends high marbling (top 2%) with high stayability (top 1%) and excellent post weaning growth. 3. 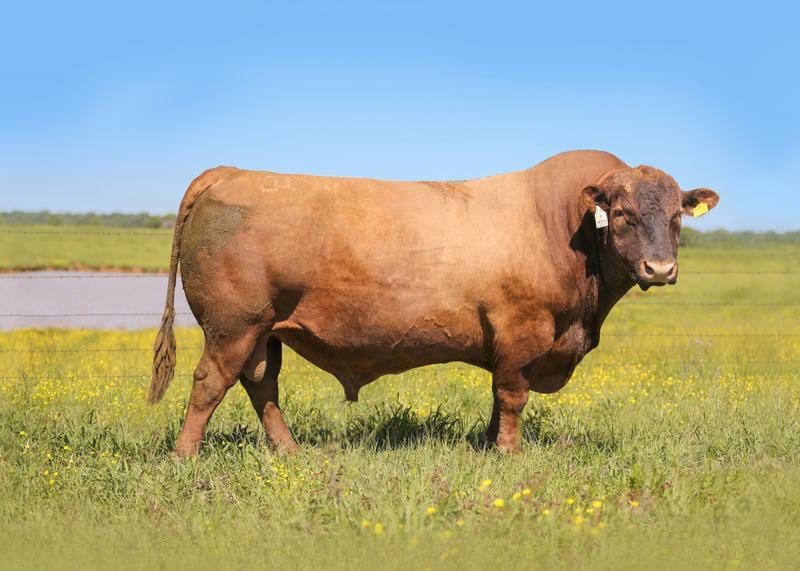 Progeny are moderate framed with added depth and spring of rib and excellent fleshing ability. 4. Powerful, attractive and super sound. He is the complete package with great feet.